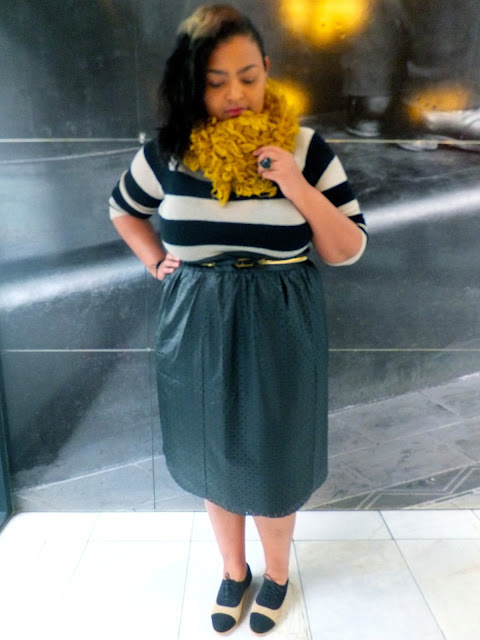 Next to a black pencil skirt, I think a PU leather skirt is an essential piece in your closet. I'm loving this scalopped hem version giving the PU leather look a more feminine touch. I styled this AX Paris Curve skirt three ways: an office, a casual and a going out look. Make sure to tune in this week to see more variations. This look is inspired by the classic nautical look with bretons stripes, which I remixed with some duo penotti lace shoes. I thought this combination would bring just the right amount of fun to the PU leather texture. And to finish it all, I chose the red lips clutch from Awear. 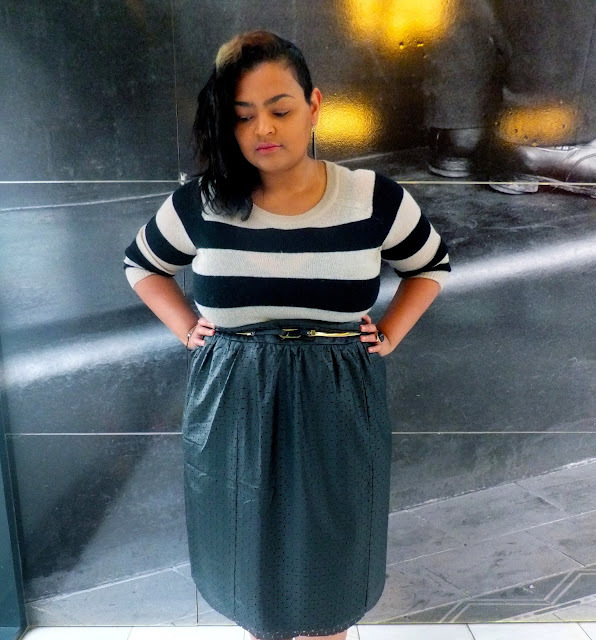 How would you style this AX Paris Curve skirt? wow, I like this outfit tough I would have choose different shoes. you look stunning and I love the way you try new combinations and mix of style and pieces. you are very inspiring! I like that skirt a lot!! I must say the feel of the skirt is very nice. And if you end up buying it, I suggest you downsize. For me it ran big. supergaaf die rok en die combinatie! Ik moet ook eerlijk zeggen dat ik aardig verrast ben door de kwaliteit.